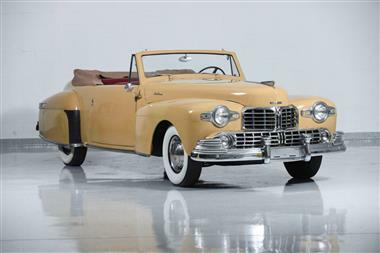 1948 Lincoln Continental in Farmingdale, NY for sale. 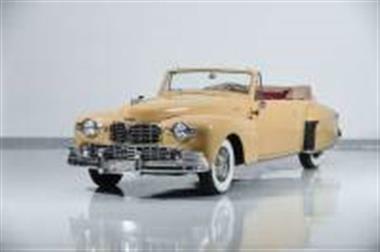 1948 LINCOLN CONTINENTAL CONVERTIBLE for sale. 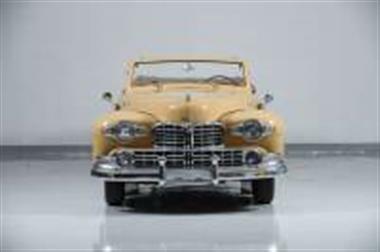 Motorcar Classics is pleased to present this truly classic 1948 Lincoln Continental Convertible featured in Yellow with Red leather interior.The story of the original Lincoln Continental has become a legend of the Classic Era. 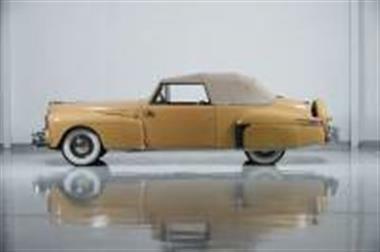 In 1941 Edsel Ford commissioned his favored stylist, Bob Gregorie, to design a customized Lincoln-Zephyr Convertible Coupe for him to drive during a winter vacation in Florida. Fords society friends were so impressed by the design, with its low, sleek lines devoid of chrome and a rear-mounted spare, that it was soon put into production. 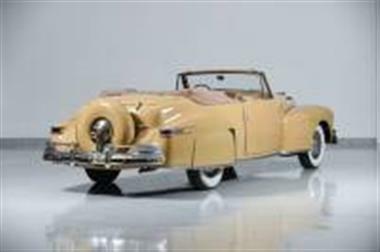 The result, dubbed the Continental as a reflection of its styling influences, would remain part of the Lincoln line until 1948, being adapted each season to match the companys standard models.The car is equipped with a 125 HP, 292 cu. in. flathead V-12 engine, three-speed synchromesh manual transmission with overdrive, front and rear transverse leaf-spring suspension, and four-wheel hydraulic brakes. For the era, this represented premium specs in a hugely expensive luxury automobile. 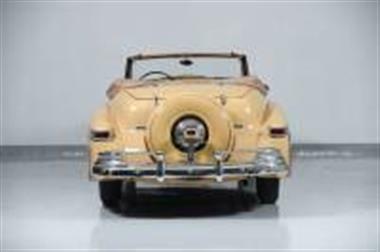 The 48 Cotinental is recognized by the CCCA (Classic Car Club of America) as a full-classic.Arguably, the Continental was the first true personal luxury car, as it was a large two-door, five-passenger automobile that was sporty enough for the polo player but also elegant enough to park at the club. 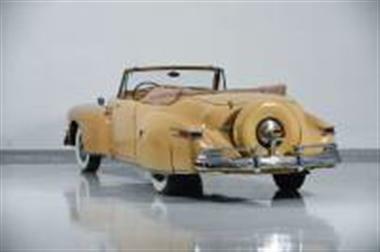 It was that dual-personality appeal and outright beautiful design that have made it a lasting legend and among the most popular of CCCA Classics.Our car could be characterized as a #2-/3+ example. It does not have much in the way of history, but it runs and drives well. The restoration would seem to be older, but the car is still very presentable and it is still a car that you could show and drive with pride. 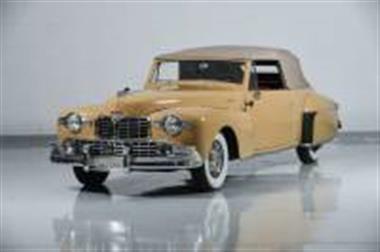 This vehicle is priced $12,595 more than the Average Market Price of $37,305 for a 1948 Lincoln Continental. This is a Poor Deal as it's priced 25.0 % above market avg. The Pie chart below shows the number of ads within different price ranges.